During his time at Goshen College, Benjamin’s voice could be heard booming across the baseball field as he encouraged his teammates, or on the radio as he talked sports. But his good voice isn’t the only reason Benjamin won first place for the best sports talk show in the country. He lives sports. He can’t get enough of sports. And that passion emanates throughout other areas of his life. 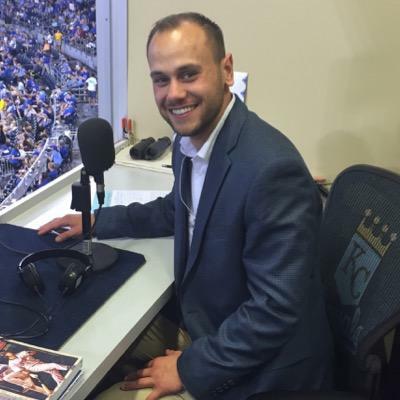 Benjamin played catcher on the Goshen College baseball team and covered sports for the student-produced TV news broadcast called The Correspondent. He was the sports director for Goshen College’s radio station, 91.1FM WGCS-The Globe. And he did all of this with excellence, winning awards left and right, along with his fellow broadcasting students. While The Globe was named the 2011 Best College Station in the Nation by the Intercollegiate Broadcasting System (IBS), individually, Benjamin won first place nationally for Best Sports Talk Show. And at the state level, he won first place awards for both radio and television broadcasting in the same year. Keep listening, because one day, he might just be heard announcing the World Series.